Mansfield Plant Hire is a locally owned and operated Earthmoving Contractor, providing solutions to all your earthmoving needs. We specialize in “wet” hire, where the hire of our machinery includes an experienced and qualified driver to carry out your bulldozing, earthmoving, excavation and clean up, site clearance, construction, tree removal, or other works required for the job. So you don’t have to worry about finding an experienced heavy machinery operator for your project – its all part of our wet hire services. We have a comprehensive list of machinery for hire, including excavator hire, digger hire, grader hire, bulldozer hire, loader hire, tip truck and trailer hire, and more. We also supply the standard accessories required in commercial, industrial and residential working zones. 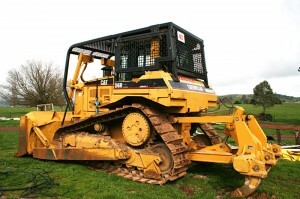 You’ll find everything you need for your next big project right here at Mansfield Plant Hire. At Mansfield Plant Hire, we carry out contract work regularly, including government contracts, forestry contracts, and private farming contracts. From road and transport works to dam construction, land clearing and site preparation, we deliver experience and professional service on all works in residential, commercial and industrial settings. So you can rest assured you’ll get the highest quality results and guaranteed satisfaction when you choose Mansfield Plant Hire. We are a locally owned and operated business and our qualified operators have decades of experience working in the Mansfield Shire, Murrindindi Shire, Mitchell Shire, Alpine Shire and Benalla Shires. With this experience working in local forests, construction site and agricultural properties we have a broad understanding of the local geography, soils and flora in the region and know how to best use our equipment to get the job done in these environments. Give us a call right now on 0418 318 456 and have a chat to us about your project.